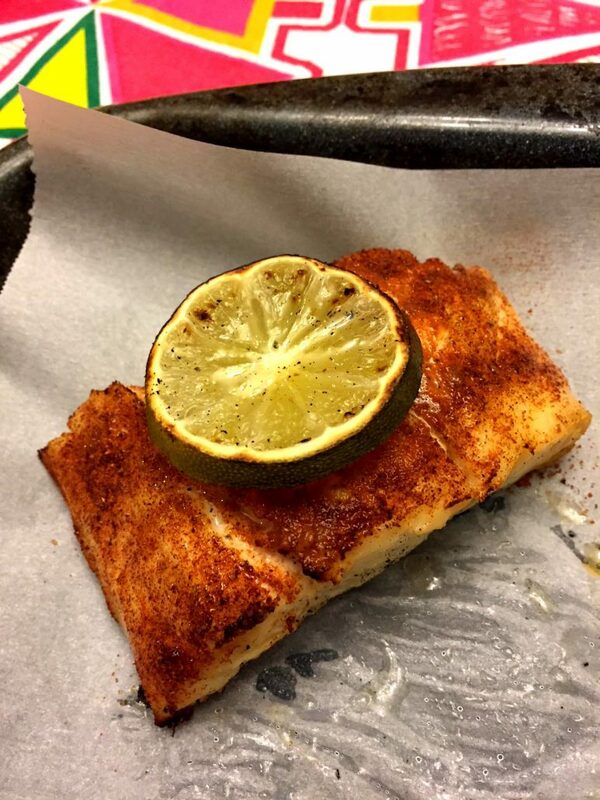 Red Snapper baked with chili and lime slices has everything going for it – it’s delicious, looks great at the dinner table, its healthy and low calorie, and it’s super easy with just 4 ingredients. What more could a busy cook ask for? 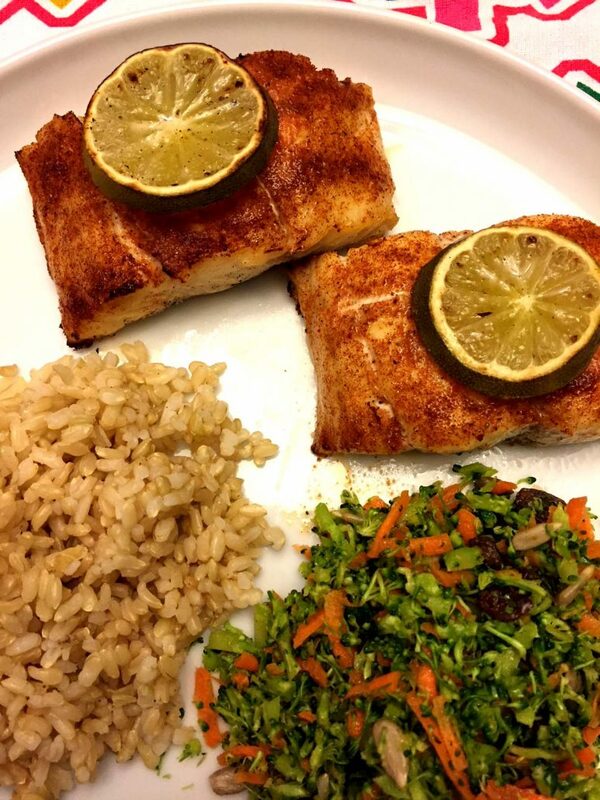 We all get in a rut with fish sometimes, and if you’re looking to up the interest in a healthy, light and low calorie fish dinner, you must try this Red Snapper with chili and lime! It will definitely banish the “blahs.” The chili and lime give it a nice hint of spice and citrus. Add a side of Cilantro Lime Rice (Zatarain’s, for example) and a simple salad, and you’ll be magically transported to a seaside cafe on a Mexican beach…. I can feel that tropical breeze and smell the salt air already. And did I mention how great this dish smells while baking? If you’ve always bought tilapia or flounder for a simple fish dinner, you must try red snapper. I guarantee you’ll love it. Red snapper is the perfect fish for this easy and delicious dish. It’s found in shallow waters in the Gulf of Mexico, so lime and chili is a natural combination for seasoning it. The fillets are large and meaty, and the flesh is white with a light sweet and almost nutty taste. It’s one of the tastiest fish to come out of the waters of the Gulf of Mexico , and easiest to cook. Fortunately, red snapper is usually easy to find in your local market, and I’m sure you have chili spice in your spice rack. 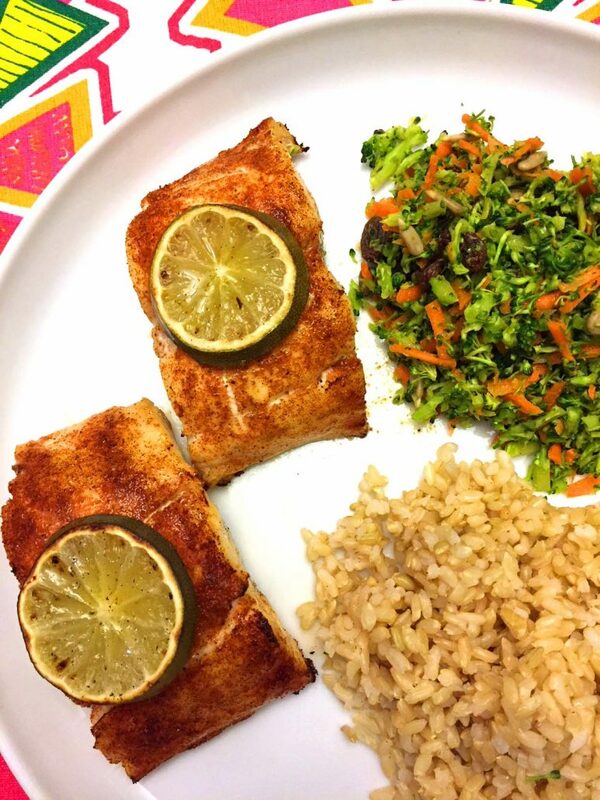 Just pick up a couple of limes from the produce department when you buy your fish, and dinner is just minutes away! And to keep things simple and easy, especially is its summer, I recommend lining a baking sheet with parchment paper. Cleanup is a breeze – no scrubbing of baking pans! That makes this red snapper with chili and lime recipe a complete winner in my book! Like that broccoli salad that’s served with the red snapper on my photo above? That’s my broccoli detox salad that’s really easy to make, healthy and yummy! Check out the broccoli detox salad recipe. For perfect brown rice, check out my 2 easy methods for making it: brown rice rice cooker instructions and Instant Pot brown rice. 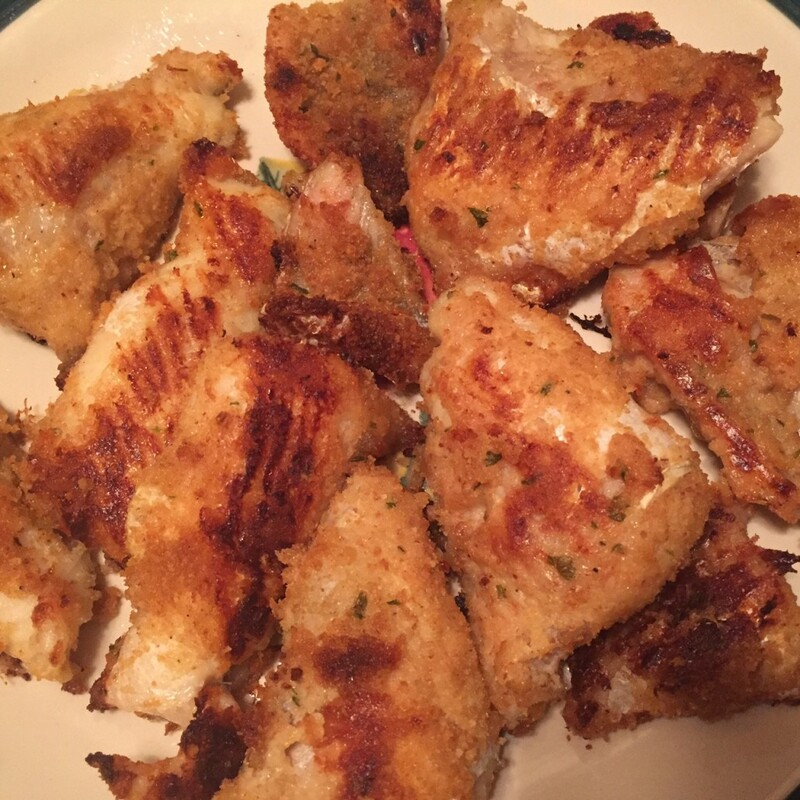 Crispy Baked Breaded Fish – no frying needed! The breading is so crispy and perfect! Instant Pot Fish – ready in 3 minutes! You can make this chili lime red snapper too in the Instant Pot the same way! 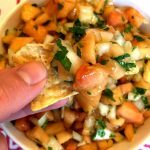 Mexican Salsa Fish – just 2 ingredients – fish and salsa! This simple recipe tastes amazing! Lemon Butter Fish – baked in the oven with simple lemon butter sauce, it’s so yummy! Creamy Garlic Shrimp Pasta – this seafood pasta is so easy to make and tastes mouthwatering! 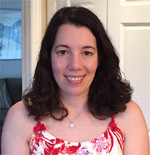 For easy side dishes to serve with red snapper, check out my side dish recipes and salad recipes. This chili lime red snapper is such a handsome and delicious fish! 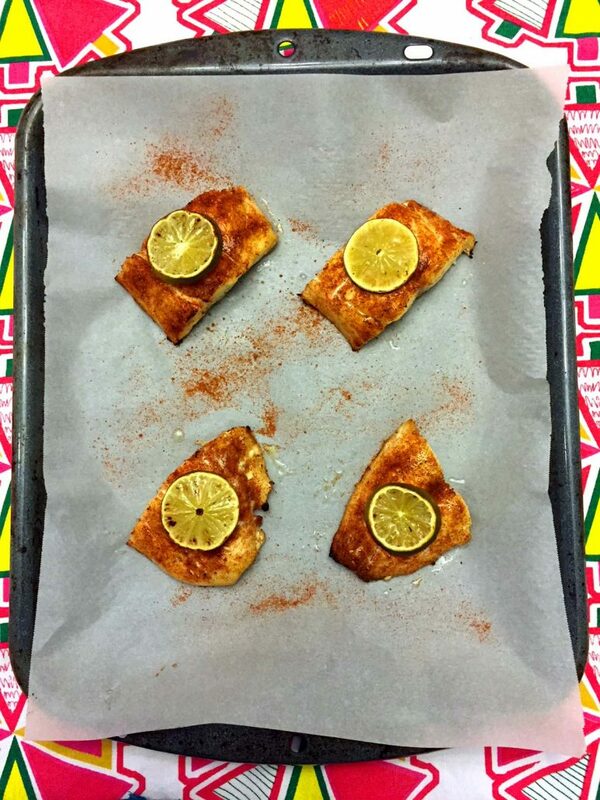 Just rub with chili powder, top with butter and sliced limes, stick in the oven and bake! 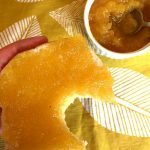 Super easy recipe and so yummy! 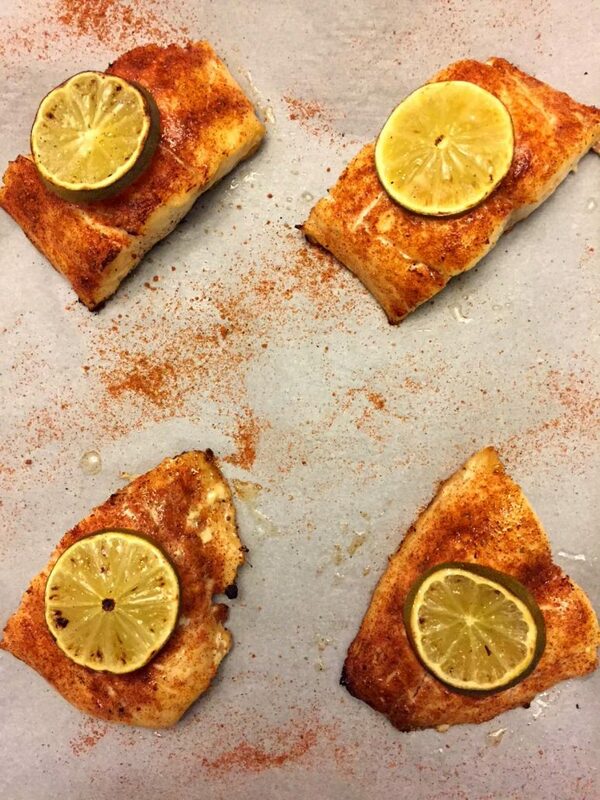 Rub the red snapper fillets with chili powder, then put on a baking sheet so they are not touching. Slice the butter into as many pieces as there are fish fillets. Put each piece of butter on top of each red snapper fillet. Put the lime slices on top. Put the baking sheet with red snapper in the oven and bake for 15 minutes.